On August 7, 18:21 CET, this blog went offline. Unfortunately, I was on vacation in a remote cabin at the time, again proving the efficiency of the door-slam sensor built into every server and network. The door-slam sensor is the mythical sensor that registers when your front door closes in the definitive way that forebodes a longer absence – in this case, a gig trip to Brazil (where the Brazilian Pirate Party was also founded) followed by two weeks in a remote cabin on the islands. Mail sorting stopped working first, completely clogging up my inbox (this is done client-side on my main workstation, rather than server-side using sieve…), but that was at least manageable to some degree for a limited time. However, on August 7 at 18:21 my network stopped responding entirely – all servers stopped responding, not just the blog server. 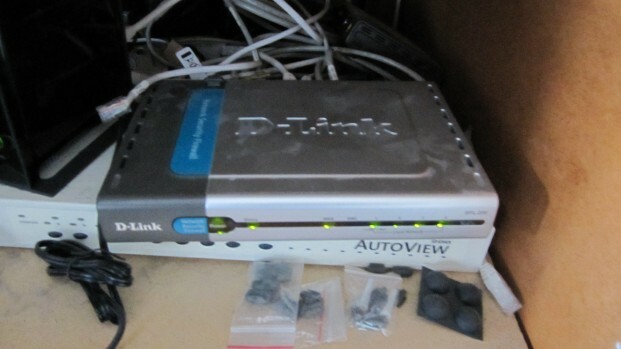 On coming home in the morning on August 13, it turned out to be due to my oldest and weakest link in the network: an old D-Link semi-consumergrade firewall. Resetting it powered everything back up like fresh dilithium crystals. My current first node on the network. Once acquired as it was (then) the minimum box that could route inbound PPTP (IP protocol 47 – different from TCP and UDP). Now, mostly outdated. Sometimes hangs. Like now. It’s not the first time this has happened, but it’s the first time while I’m away on a longer trip. A dual pfSense 100Mbit firewall (from ApplianceShop.EU). Redundant. Open source, free software. Much preferable to an old D-link. Did I mention it’s dual? And redundant? But as usual, that’s not going to happen in the near term (see “as long as I’m dreaming, I’d like a pony“). In either case, we can observe that as a whole, the network’s door-slam sensor triggered well for my longest absence in years. As you probably have understood by now, I’m running this site from a server at home, for legal jurisdiction reasons (if it were running in a colo, other people could make decisions about who can access it). Therefore, I choose to live with the daily maintenance of keeping a server park alive, including striving to beat the mythical door-slam sensor. With me back in the saddle (tanned and rested) and the network back up, we’re back to our regular schedule. I suggest that we, as loyal and grateful fans of Rick F, ask him sincerely to start a Funding Campaign to help him replace his failing hardware. It shouldn’t be too difficult to organise Rick, given that you already have a dedicated website with many dedicated readers to throw cash at you for this specific one-off project – just include an Appeal at the end of each of your articles, with an address to send the cash donation. I’d be more than happy to send €25 to get you started, but I need to know where to send it please? It would also help if other readers of this blog & my comment write a reply saying whether or not you too would send Rick cash. I’m currently running a 39° fever with a windpipe infection (which probably has a more latin-sounding proper name in English), so my consciousness is kind of fleeting in and out. Will get on it as soon as I’m a little less dimwitted.